Monday 29th April 2019 is the date for the UK travel trade to note in their diaries. For on that day will be the latest Group Buyer Forum-South event – all geared up to helping GTOS and coach and tour operators plan their tours and excursions. And an occasion too for hotels, attractions and destinations to attract new coach parties. And the sublime and stunning attraction of Painshill Park near Cobham in Surrey is to be the venue for this annual set-piece for the tourism industry. 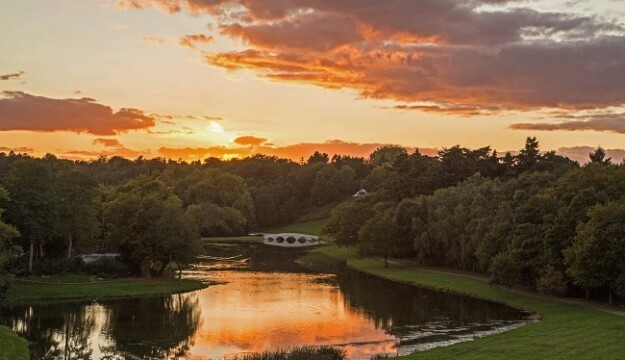 Painshill – so easy to get to just off the A3 or the M5 in Surrey and close to Cobham railway station – is famed for its award winning 18th century landscaped garden. Organised by Hampshire-based group travel specialists Steve Reed Tourism, the event sees attractions, hotels, retail and destinations meet with tour planners from around the country. ‘Just like ‘speed-dating for groups,’ says Steve Reed MD of Steve Reed Tourism and a director of AGTO, the Association of Group Travel Organisers. ‘Over recent years we’ve worked with some top notch group attractions such as RHS Wisley, Brooklands Museum, Denbies Wine Estate and Methodist Central Hall in Westminster to name just a few. And Painshill follows this tradition of providing a top class backdrop to what is a structured and business-like event for tourism businesses and tour buyers,’ explains Steve. On 29th April, the event commences at 10.30 and concludes at 14.00. The day includes a tour of the site, lunch and refreshments. GTOS and coach and tour operators will also be able to take in a River Thames cruise. Some of the tour operators will be hosted in a local hotel on the night before – Sunday 28th April. Each year Steve Reed Tourism Ltd arranges numerous fams, showcases and hosted buyer events around the country. The next Group Buyer Forum will take place at the National Memorial Arboretum in Staffordshire on Monday 22nd October and again features tourism businesses from around the UK as well as tours and attraction visits.